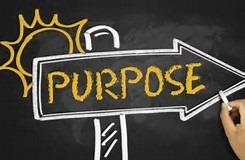 Asking “WHAT IS GOD’S PURPOSE ON YOU?” in your post Evening Meditation 6-12-17. I find there are times I am wonder if I know God’s purpose. I believe I got a start with my blog in being encouraging, uplifting, kindness, sharing smiles and laughs. We all know our world needs more of that but I wonder if I am suppose do more. Let me explain what I mean by “do more”. Am I to be a leader in the cause of just? Am I suppose to run for office to make sure my fellow Americans get a fair shake instead of screwed? What is this almost 60 year woman suppose to do? I am not sure. The words God has given me is “change” and “leader”. I am asking God about that. Those are good words God has given you. I cannot wait to see how they manifest. I am glad the question rose up off the page for you. I am looking forward to see where it leads. All of us have a purpose. This purpose can mutate as we pursue it into various different outcomes. The goal is to keep communication between the “SELF” and GOD open to accept guidance during the process. It’s an amazing experience and joy to follow. Amen. Jonathan you are a joy.